When he moved from New York to Florida in 1990, Andrew Moos had never heard of the Lions Club much less their long-standing commitment to eye care. “In New York City civic associations were pretty few and far between,” he recalled. Twenty-eight years later, it would be hard to find a name in Tampa more synonymous with the Lions or the Lions Eye Institute for Transplant & Research Foundation than Andrew Moos. “We are so fortunate to have Andrew working on our behalf to advance our mission as we work together to give the gift of sight to people who cannot afford sight-saving surgery,” said the foundation’s director JL Bielon recently. The Lions Eye Institute for Transplant & Research is the first and only combined eye bank and ocular research center in the world — empowering researchers to conduct real-time studies of healthy and diseased ocular tissue leading to a greater understanding of the events that lead to blindness. As a nonprofit, they are grounded in the belief that everyone deserves the gift of sight, and the Foundation was established for that purpose. Lions Clubs and vision care go back nearly 100 years, specifically June 30, 1925, when Helen Keller addressed the Lions Clubs International Convention in Cedar Point, Ohio. It was there that the Lions found their mission. For Moos, his association began 65 years later soon after he began a distinguished career at Metropolitan Systems, a Tampa Bay area advertising agency where he continues to serve as the company’s director of government and community affairs. It wasn’t long before Moos moved to Tampa and immediately joined the Tampa branch which happens to be the oldest Lions Club in Florida founded in 1924. “The Tampa Downtown Lions Club was the original founder of the Lions Eye Bank which over time evolved into the Lions Eye Institute for Transplant & Research and its foundation. That was over 40 years ago. “The connection goes so far back, it made me want to know more about it and how it serves people from all over the world,” says Moos. 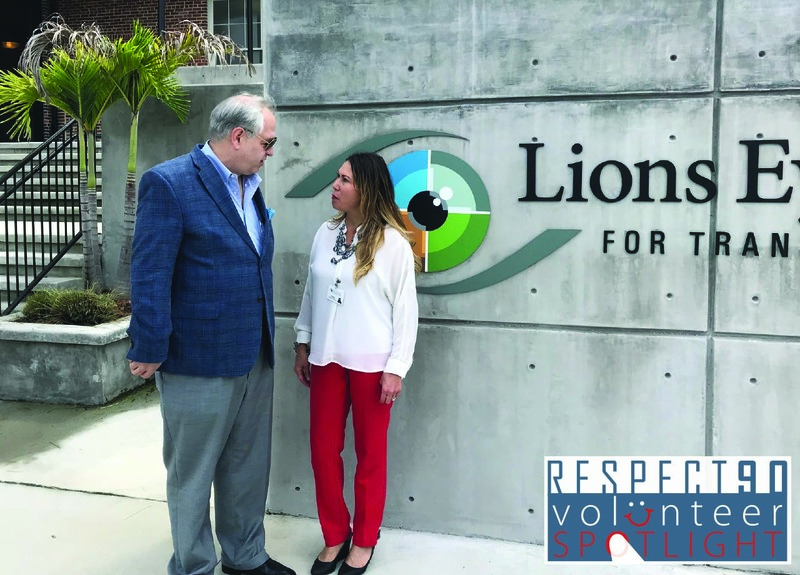 To supplement those efforts, Moos proudly points out that the Tampa Downtown Lions Club has its own Foundation that serves needy citizens with serious eye conditions, but not requiring the eye or tissue transplants available through the institute. The Lions Foundation is there for those in need of eye surgeries for conditions such as cataracts or glaucoma, but cannot afford treatment. The foundation not only provides monetary donations, but also helps negotiate the surgical prices with doctors and hospitals. Moos divides his time helping both foundations. This past Fall he was busy promoting the eye institute’s Annual Eye Ball and the Lions Club Foundation’s golf tournament. Born in Montreal and raised in New York, Moos discovered Tampa when he attended the University of South Florida where he earned his degree in advertising and marketing in 1982. 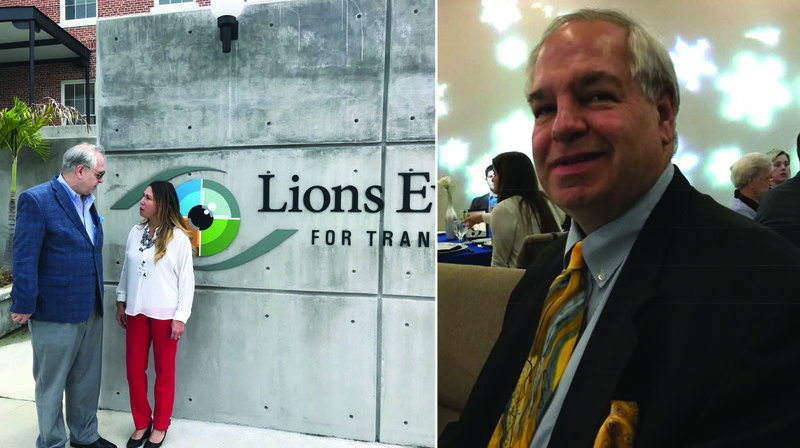 A three-time past president of the Lions, Moos has seen to it that his company donates some of its outdoor advertising inventory to promote the institute’s foundation’s fundraising activities and in June even hosted a Facebook fundraiser on his birthday. His main reward? “Helping others and really making a difference being able to give somebody their sight back,” he says. Spoken like a Moos with the heart of a Lion. For more information on the Lions Eye Institute for Transplant & Research visit LionsEyeInstitute.org.